The EoC Commission of Nort America (the USA, Canada, the Dominican Republic) has prepared a report on the activities carried out during the year, to transmit the life emerging from it: «The EOC appears to be a concrete expression of what - as we see every day - many seek in their lives: the desire to integrate their faith into their profession and the need for a genuine purpose for their existence». 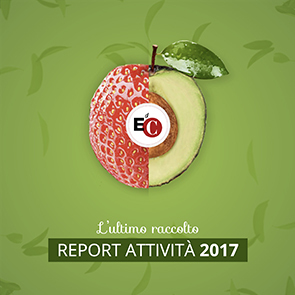 In particular, this year was marked by the participation in the Expo 2013 of the Chicago Focolare Movement, the birth of "The Company Cube" (which has also made available as an "App" for Android) and the continuation of internships for young people interested in deepening the life of an EoC company. The report lists the EoC businesses with the "faces" of the entrepreneurs and the publications of the year; the EoC Commission is also introduced with all of its members and their roles. Elizabeth Garlow, head of the Commission says: «We have the impression that technology offers us many opportunities to improve communication between the EoC entrepreneurs, interested people and the public in general». This annual report certainly points in this direction.